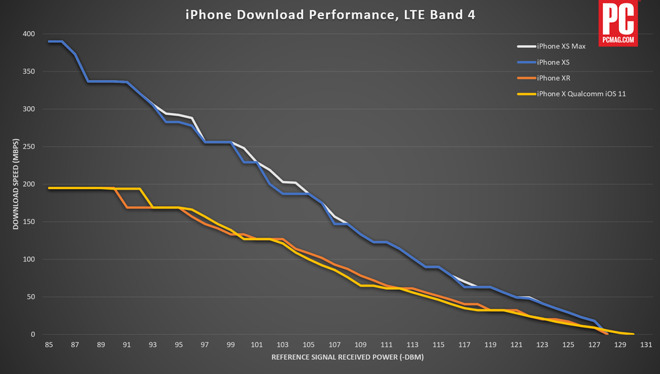 Even though they share the same Intel modem, the iPhone XS gets definitively better signal strength than the iPhone XR, according to test results shared on Monday. The iPhone XS and XS Max on the left, and the iPhone XR on the right. 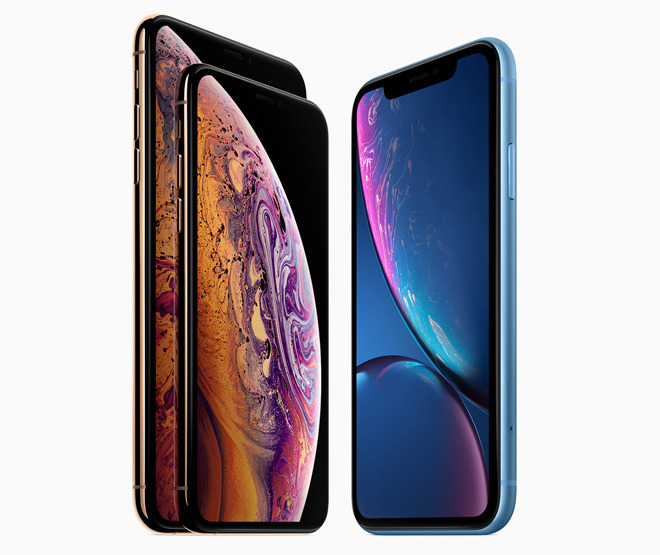 Download speeds achieved with the iPhone XR are similar to those of 2017’s iPhone X, but the iPhone XS is nearly twice as fast as both, PC Mag said, citing research done in cooperation with Cellular Insights and Rohde & Schwarz. 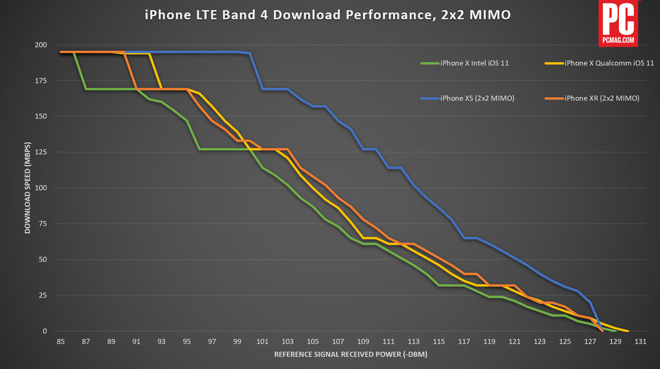 The testing was done with a single 20-megaherz carrier of LTE Band 4, owing to time restrictions. The difference is connected to the XS’s support for 4×4 MIMO, whereas the X and XR only have 2×2. The XS achieves not just a 400-megabit top speed on Band 4, but better data under weak signal conditions. When connecting to a 2×2 MIMO cell site, the XS still offers faster downloads for longer, for example holding onto the peak 200-megabit speed of 2×2 well after the X and XR have begun slowing down. The XS is simply superior in areas with weak LTE, PC Mag concluded. On compatible LTE networks the XS can theoretically achieve gigabit speeds. That’s unlikely in the real world, since most cell sites have some degree of network congestion and signal interference.